What’s the ROI of HR Tech? Top 7 Reasons to Choose PMP Certification for Project Management? 8 Reasons why we will always love F.R.I.E.N.D.S! After waiting for almost 596 days approx, the day is finally here. Yes, we are talking about the show that has created a sense of awesomeness in everyone’s mind, from its portrayal of different characters in which most of them have seeped into our minds and have become favorites to the plot twists and climax, this show is a complete recipe for perfection. 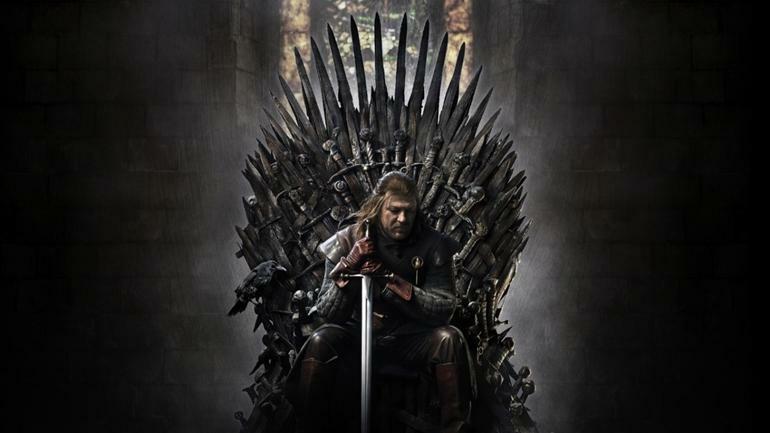 The ideal show that everyone has been talking about in the last few years and is also the talk of the town nowadays is none other than Game of Thrones. As the saying goes “Good things take time,” Calm down guys, Today is the day. The final season of Game of Thrones is premiering with just a few hours away. After many terrifying teasers, trailers, and pictures that brought shivers down our spine, all the fan theories and plots that we have heard in the past days, we would finally witness them coming into action. Some theories had people talking about scenes like the apocalyptic Winterfell, Sansa offering her home to Danaerys also called as “ The Mother of Dragons,” the white walkers and the arrival of the golden company, etc. It’s valued to be one of TV’s greatest moments of all time, with viewers throughout getting ready in their way – re-watching all the previous seven seasons to ensure they’re actually up to date with what’s going on. One complete guarantee is the perfect spectacle that awaits us. With a handful of feature-length episodes on the different side of the season premiere, it’s secure in saying these episodes (which reportedly highlight the most complex sequences ever filmed for television) will be the greatest of the grand show’s best. Anyways coming back to the main topic, let’s walk through what has happened so far on the show, important characters and also what awaits us in the finale season 8. When is GOT going to be aired? An adaptation of A Song of Ice and Fire, George R. R. Martin’s set of fantasy novels, tv show creators D.B. Weiss and David Benioff launched the series in the year 2011. 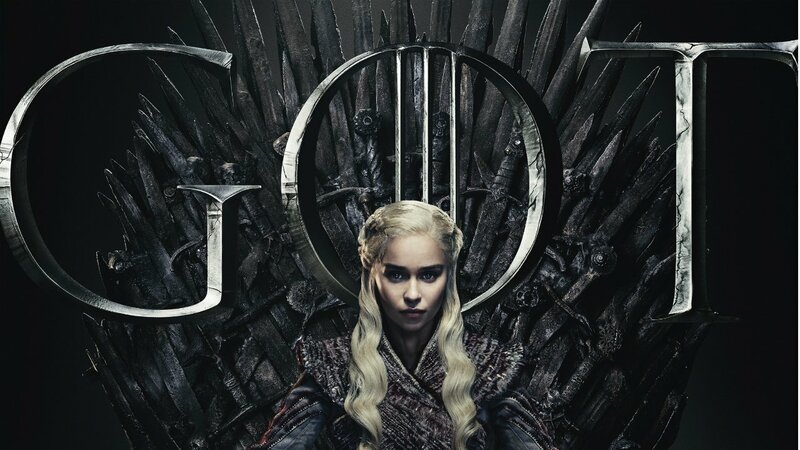 So far, the show has aired a total of seven seasons and the Episode 1 of the last season of the fantasy series is set to commence running in India on Hotstar on April 15 (Monday), 6:30 am, the same time it also goes on air in the US as well. The show will air every Monday at the same time, and the last episode will air on May 20th. The final season will premiere on the April 15 in India. To watch the episodes, one has to have a subscription of Hotstar Premium service. There are a total of two plans available– Rs 300/-month and Rs 999 for a year. There is a trial duration of 7 days during which you will not be charged. The first episode of the final season will be aired at 6.30am on Monday, April 15 uncensored. If you do not mind seeing the show a day later and with minor cuts, you can watch it for free on April 16, 2019, at 10:30 pm on Star World, Star World HD and also Star World Premiere HD. How long will each episode be? As regarded by Winter Is Coming, the first episode is also the unique one without an ‘Adult Content’ warning — the calm before the storm, possibly? In a crushing hit for Thrones fans, however, HBO head of programming Casey Bloys has indicated there could be another painful wait between the end of Game of Thrones and the start of the first spin-off show, saying “you’re not going to notice anything air anytime near to the season 8 finale. Who is in the cast of the FInal Season? in 2017, Variety announced that five cast members — Peter Dinklage (Tyrion), Nikolaj Coster-Waldau (Jaime), Lena Headey (Cersei), Emilia Clarke (Daenerys) and Kit Harington (Jon Snow) — were all getting paid $500,000 (roughly £380,000) per episode. Additional returning cast members including Liam Cunningham (Davos), Sophie Turner (Sansa), Maisie Williams (Arya), Nathalie Emmanuel (Missandei) and Gwendoline Christie (Brienne). Game of Thrones’ visual effects supervisor, Joe Bauer, has also approved Jon Snow’s true albino direwolf Ghost — last seen in season 6 — would be making a return, saying “You will see him again. He has a fair amount of screen time in season 8.” A leaked cast listing contained a couple of surprising additions, namely Kristofer Hivju (who represents loveable wildling and Brienne of Tarth admirer Tormund) and Richard Dormer (otherwise known as the much-revived Beric Dondarrion). What started with some of the night’s watch guards attacked by the white walkers. Back when Viserys still believed he was going to sit on the Iron Throne, the dragons were still in eggs. The introduction of Winterfell, and the two houses Starks and the Lannisters, also the twists and turns that make them mere enemies. A quick brief of what more did happen in season 1 is in the video below. Warning **Spoilers in the video. If you have missed up some major parts of season 1. Season 2 marks the War of the Five Kings incline up with the introduction of few main characters like Stannis, Davos, Renly, House Tyrell and Melisandre, Theon returns to the Iron Islands, and Joffrey is the ruler of the Seven Kingdoms. The video is to showcase how bloody and unfortunate things turned out to be for our favorite characters. Get ready to be traumatized all over again as King Robb Stark maintains his quest to defeat the Lannisters, Jon Snow sets himself with the King Beyond the Wall, and we see Jaime having an identity crisis. Brienne fights a bear and much spoken about “ The Red Wedding.” The 5 minutes video will make it easier for you. The Royal wedding of Joffrey and then comes the most shocking twist. 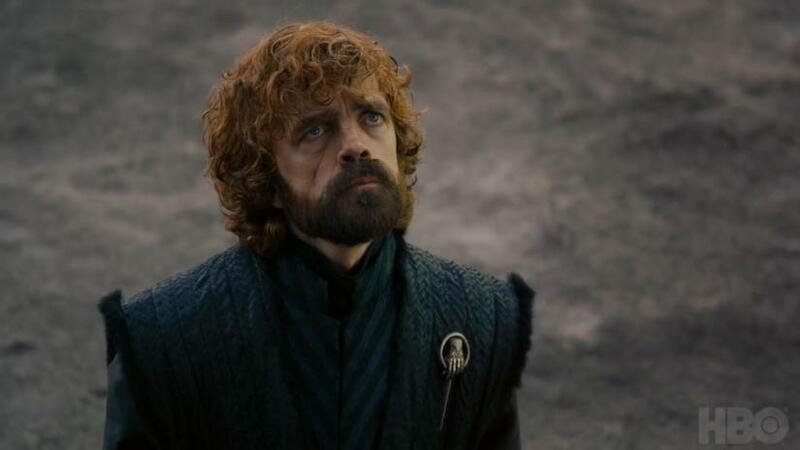 Tyrion Lannister provides the greatest testimony of all time in Game of Thrones Season 4, while we get introduced to the joy aka “ Red Viper of Dorne that is Oberyn Martell and Bran’s journey and vision of the three-eyed raven and the group meeting the Children of the Forest. This season has the most important characters dying subtly. Watch the video to know how delightful at the same time gruesome this season was for the fans. The introduction of the Faceless Men, the High Sparrow and the Sand Snakes of Dorne, and also the outcome for the house Lannister after the death of Tywin Lannister. The major fight with the wight walkers and night king at Hardhome. Also the climax scene with the walk of Atonement ( “Shame, Shame…). Confused watch the 5 minutes video and stay updated. Remember when all of us waited for almost a year to know what happened to Jon Snow? Season 6 also sees the summit of Daenerys’s time in Meereen, one epic battle involving a couple of bastards and also the origin of the Night Kind and his army. The epic conclusion of the High Sparrow, destruction at its peak level and much more. Daenerys Targaryen ultimately arrives in Westeros in the seventh season of Game of Thrones, with the Night King gathering his forces in the North and Jon Snow doing pretty much whatever he can to try to stop him. 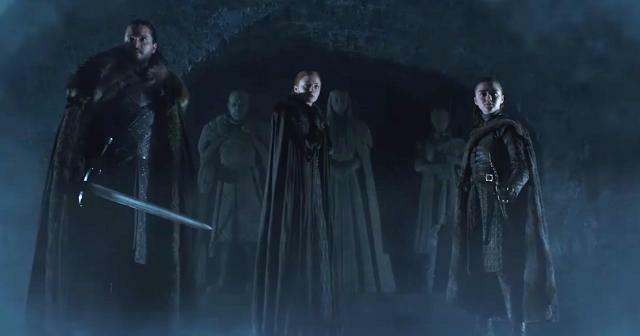 The reunion of the starks and the epic battle beyond the wall. Coming to the current scenario, let us have a glimpse of what season 8 has to offer. An ominous trailer released in March has got almost all on the edge of their seat for the opening episode? The new two-minute trailer has great and truly taken the Westeros Wide Web by storm. 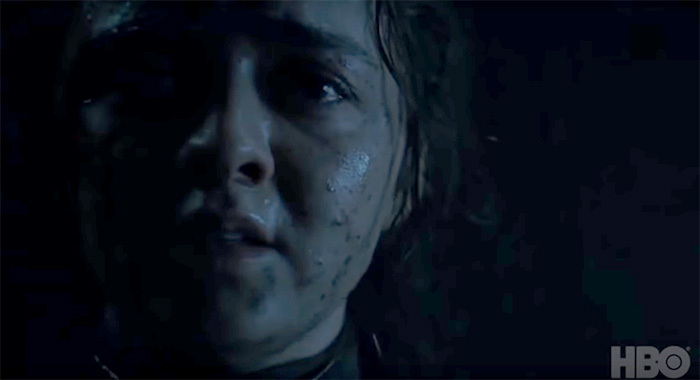 Firstly, we saw Arya escaping from someone through stone corridors, recommending a fight-or-flight scenario knocked her usually-powerful character. A scene where Ser Davos and Master of Whisperers Varys are looking rather unhappy, Arya’s voiceover says: “I know death. He’s got many faces. A much-awaited scene for most of the fans”‘Death’ could be the Night King, or maybe a suicide mission to rescue her family from the Winterfellian encounter we know is upon us. We go on to see Cersei’s army of mercenary sell-swords upon the Narrow Sea, probably directed for King’s Landing. German actor Marc Rissmann (Last Kingdom) has been approved as Golden Company commander Harry Strickland, and it could very easily be him, with his back to the camera, gazing ready to address the army. For most of us wondering what happened to the Wall, the trailer also proved the survival of Beric Dondarrion and Tormund Giantsbane. Beric was recognized with a flaming sword, and Tormund was stomping through a corridor (not too different to the one we saw Arya legging it through). 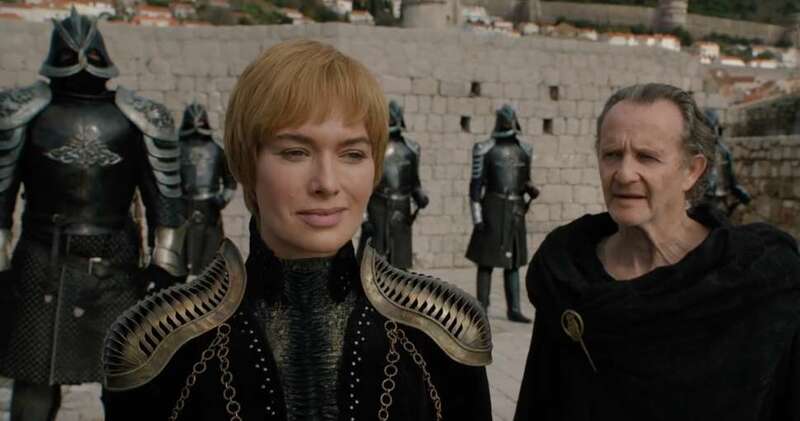 Mad Queen Cersei also seemed to be back in full insane motion stood at the towers of King’s Landing with her wicked advisor, Qyburn.“Everything you did brought you where you are now,” he says. “Where you belong. Home.”Possibly most excitingly, the trailer saw Daenerys driving her crack army of eunuchs out of Winterfell beside Jon Snow, setting the scene for the battle between the Seven Kingdom and the undead. Jaime, who also appears to be at Winterfell, is seen drawing steel and screaming out as flames roar around him. While the initial scene of the series of Jaime pushing Bran out of that tower window to defend his rather terrible twin lover still is a very unforgiven act, the clips do recommend he has heroically ventured to fight for the people she hates the most. Dragon-wise, every character seemed titillated as ever. Dragon and Rhaegal were observed flying all over the place — Winterfell, in particular — and startling the Starks below. Near the conclusion of the trailer, Tyrion (finally!) arrives before we cut to Brienne of Tarth, Podrick, Ser Jorah and several Unsullied and Stark troops arming for battle. Just before an undead foot hits the ground. Winter has come. This video depicts so many things and has given experts to come up with many theories. Who would be directing season 8? Collider revealed that David Nutter (who had previously directed the infamous Red Wedding episode, The Rains of Castamere) would be directing episodes one, two and four. Miguel Sapochnik, who has mainly become known for heavy action episodes such as Hardhome and Battle of the Bastards, will be directing episodes three and five which is considered to be the longest. Showrunners DB Weiss and David Benioff will co-direct the sixth and mainly final episode of the show. What would happen in season 8? We know nothing (said by our very own Ygritte) for sure, but we are breaking away as we are just a few hours awayOur best hope would be a leaked script or two and, according to Entertainment Weekly, showrunners DB Weiss and David Benioff continued already writing scripts for the final season through post-production on season seven. It’s not difficult, despite HBO’s deliberate efforts to keep things below. In November 2016 an anonymous Reddit user leaked portions of the entire plot of season seven in a post which has since determined to be largely true (one spoiler, for example, foretold that Viserion would be killed and resurrected by the Night King). If it happened once, it could happen again. The cast has also dropped hints that the conclusion will be divisive. 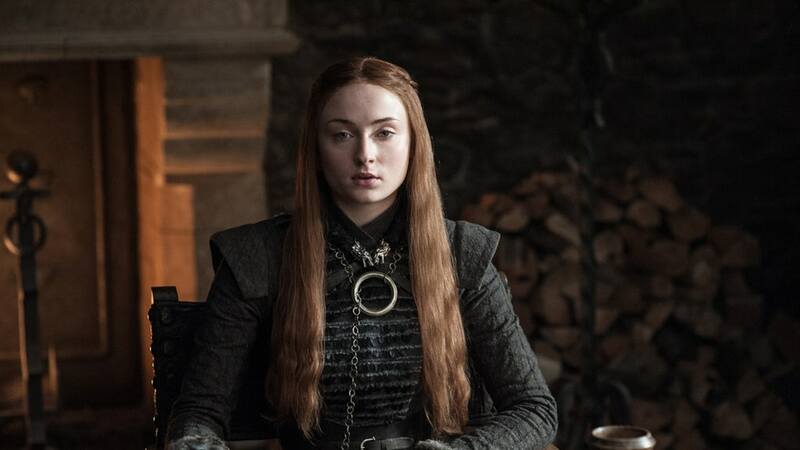 “To be able to act out the idea that it all ends, it was fascinating for us,” Sophie Turner, who plays Sansa Stark, told IGN. “Who knows if it will be entertaining for the fans? I think a lot of fans will be frustrated and a lot of fans will be over the moon, I think.”Further knowledge has been released in the slow lead up to the final season. Weiss and Benioff have revealed season 8 will start with Daenerys and her army coming in Winterfell and that Sansa is not at all pleased with Jon Snow having bent the knee to the Mother of Dragons. 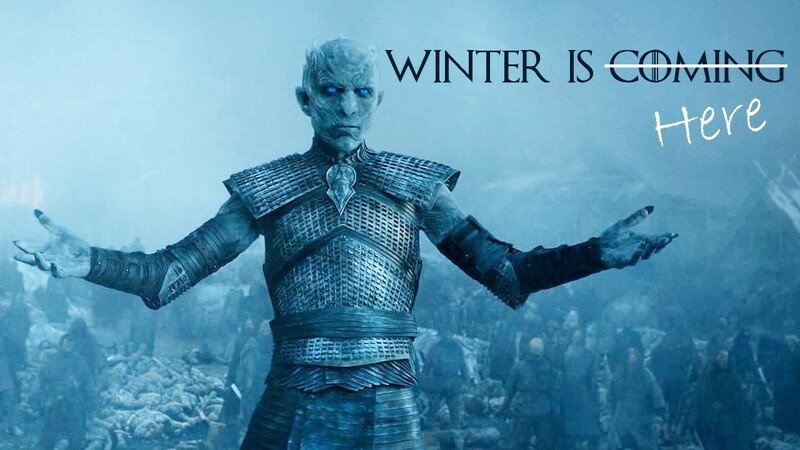 We also know the series’ final major battle episode will be the long-awaited confrontation between the Army of the Dead, the different characters and their concerns – all of which will take place at Winterfell. “It’s brutal,” Peter Dinklage, who plays Tyrion Lannister, told Entertainment Weekly. 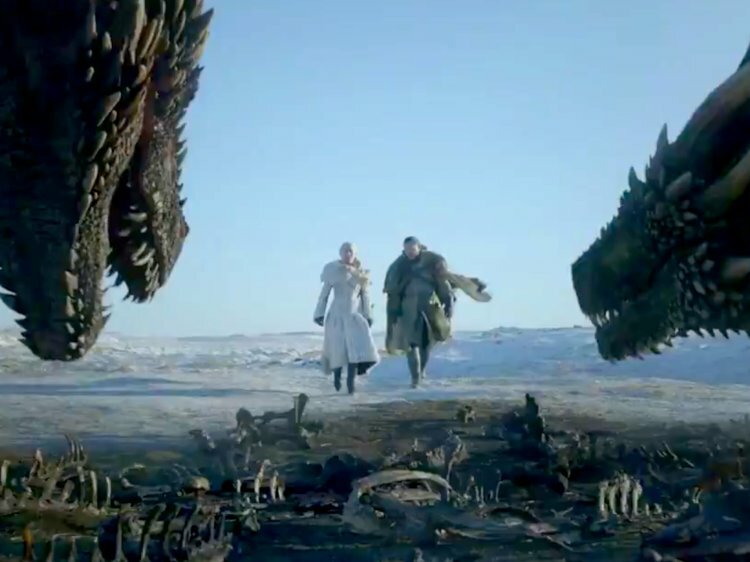 “It gives the Battle of the Bastards looks like a theme park.”Emmy winning director Miguel Sapochnik, who directed the shocking season 6 episode Battle of the Bastards, will direct the episode in the subject. The final battle reportedly took 55 days to shoot, with Sapochnik consuming additional weeks on a sound stage. Slovak actor Vladimír Furdík, who plays the dreaded Night King, revealed at a conference in Hungary that the epic battle would also happen much sooner than expected. Usually, the climactic episode of each Game of Thrones season is the last two episodes of every season; we’ve seen with episodes like The Rains of Castamere, Battle of the Bastards and Beyond the Wall. Now comes down to the main question. What do our fans think about Season 8? There have been some unusually original fan theories about what to require from the final series, reaching from the most plausible to the silly. Some of the more unusual ideas include: that Tyrion Lannister might turn out to be a member of the Targaryen line (as the illegitimate son of Mad King Aerys), that Daenerys will be reduced to defeat the White Walkers (based mostly on the book’s tales of Azor Ahai), and the thought that Bran Stark will (over a mystical, as-yet-unexplained McGuffin) turn out to be the infamous Night King. When questioned about the recent theory Isaac Hempstead, the actor who plays Bran, told Esquire he thought it “a bit far-fetched… but this is Game of Thrones, and anything is likely to be possible.”So guys with just a few more hours I hope the first episode would be a visual treat for us all. 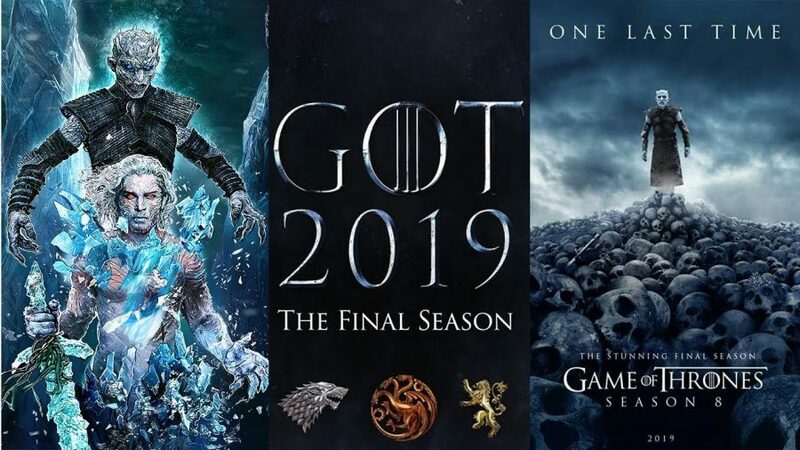 Let’s hope for the best, but this is certain that most of us are waiting for few magical scenes like Arya’s and Jon reunion, the battle of Winterfell vs. the night king & his army, Theon vs. Uncle Euron, Jaime coming to Winterfell, the conclusion of the battle. Comment below on which scenes each of you are waiting for? Let the Game of Thrones begin.